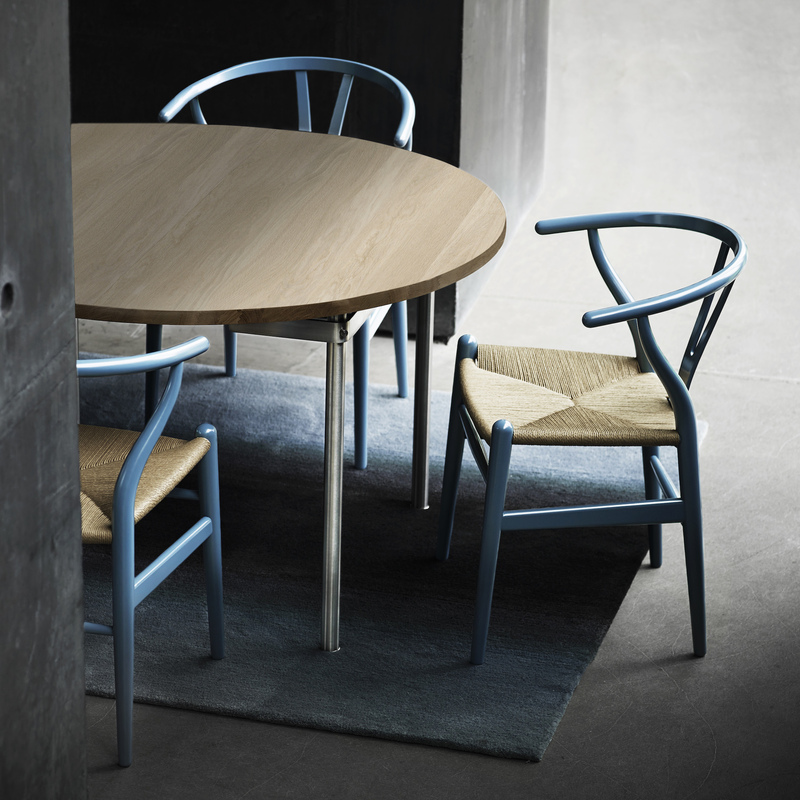 A beautiful example of Hans J. Wegner's visionary work. The tabletop is round and made of solid wood or white laminate. Legs are stainless steel. 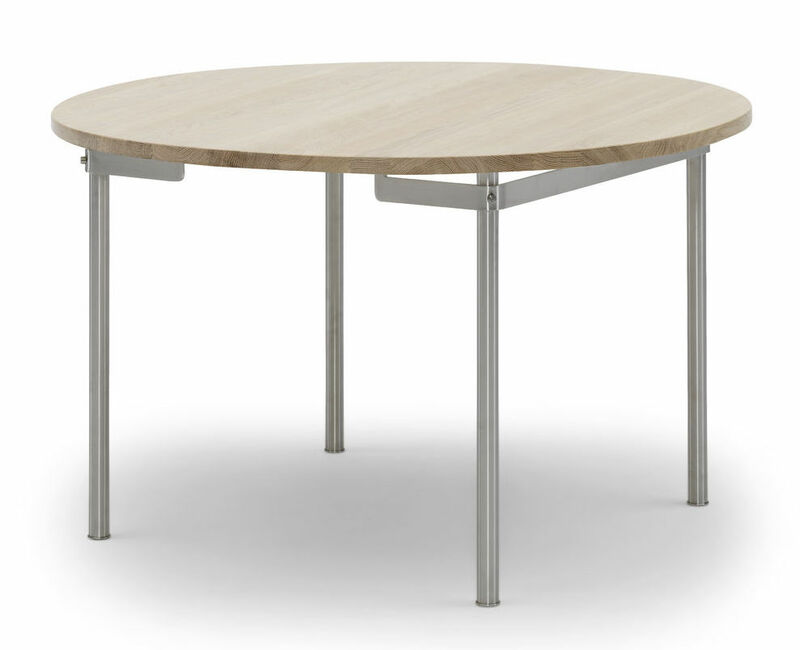 The CH388 table is 120cm in diameter. 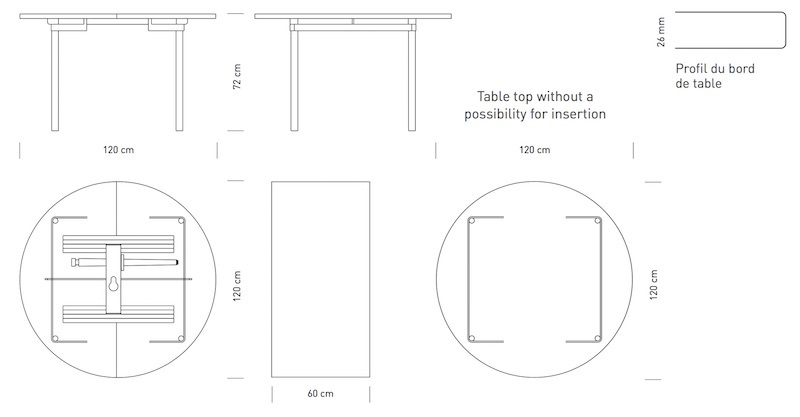 The table comes in two versions: with or without the possibility of adding 1 or 2 extension leaves, inserted at the centre of the table (+ 1 supporting leg in wood). Each extension leaf measures 60cm and is purchased separately.